IOST is the token behind the Internet of Services (IOS), a sharding architecture and consensus mechanism that enables processing of up to 100,000 secure transactions per second (TPS). The reason IOST provides large scalability is because it wants to enable developments to deploy large scale DApps that have the ability to support massive numbers of users — services like Facebook and Amazon. The project behind IOS is an open source project, although it is currently being developed in a private repository. After the completion of development, it will migrate to an open source license. 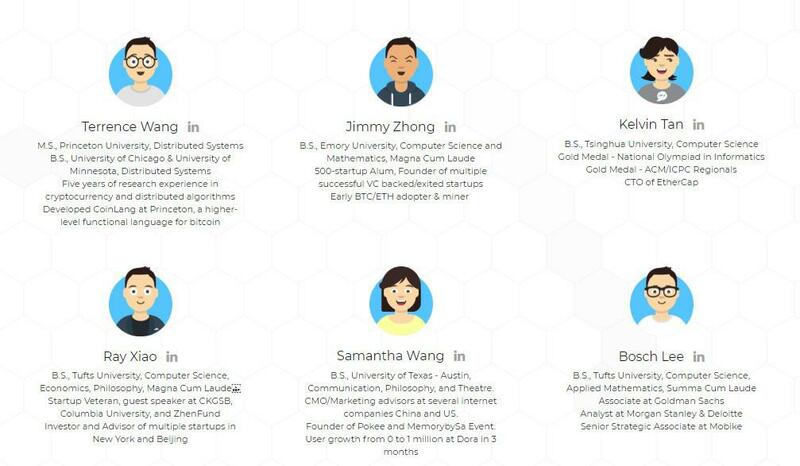 An impressive team, IOST was founded by four people: Terrence Wang, Jimmy Zhong, Kelvin Tan and Ray Xiao. Before IOST, Terrence was a software engineer at Uber. Jimmy was previously the founder of 500 Startups, a Silicon Valley seed fund and accelerator, and Dora, a technology-driven company that focuses on developing intelligence hardware and blockchain technology. Kelvin is also the founder of Dora and W.T. Inc, a smart housing platform that makes property management easy. IOST’s team has degrees from top universities including the University of Wisconsin, Princeton, the University of California-Berkley, Johns Hopkins University, Harvard and Cornell. One of its employees, Sheldon Mei, worked as a machine learning engineer at Facebook as well as a machine learning tech lead at Airbnb. The company’s advisory team also includes Ryan Bubinski, the co-founder of CodeAcademy. IOST is funded by a Singapore non-for-profit organization called the Internet of Service Foundation, which is under the management of a group of blockchain experts, software programmers, distributed system scientists, and tech enthusiasts. IOST has a number of strategic partnerships with both prominent investment capital firms as well as those in the blockchain community. In April, the IOS Foundation began a partnership with Chaitin Technology, a leading information security company. Chaitin is now the network security technical support provider for IOST. On July 13, IOST announced a partnership with Covalent, a privacy-preserving data utilization protocol. Together they will build scalable infrastructures with high TPS to the Covalent protocol. 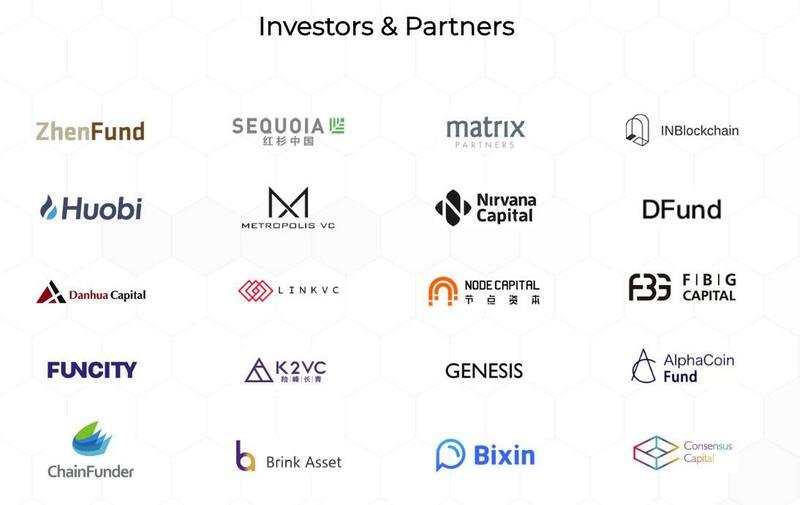 The IOST team is backed by leading investment firms like Sequoia and Matrix. IOST did not hold a public pre-sale or an ICO, but instead received private funding. The amount is raised has not yet been disclosed. After launching on January 16, the token traded at $0.02 and reached $0.12 by the end of January after being listed on Binance. At the moment the token is trending upwards after being added to the Upbit exchange. The IOST technology is an ecosystem for businesses and developers alike to build tools. Decentralized applications (DApps) and smart contracts are the foundation of IOST. The IOST virtual machine delivers stability and high currency as well as the ability to program in a number of major programming languages. In the traditional blockchain systems, there is a trade-off between safety and throughput. Large numbers of small shards will deliver better performance, but at the same time not be as well-defended against malicious bad actors. Small numbers of large shard deliver slower performance, but greater safety for users. Proof of Believability is a new Byzantine consensus protocol that guarantees safety and liveness of the system while at the same time maximizes the transaction throughput by size-one shard. 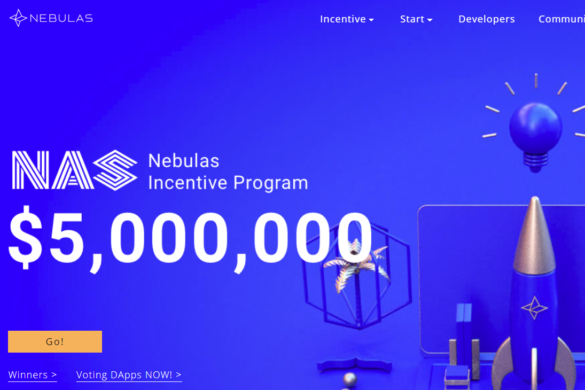 The PoB mechanism was designed to eliminate the need for a proof-of-work protocol, which eats up energy sources and is a barrier to widespread adoption of the blockchain. With PoB, believability of a node is calculated based on contribution and behaviors. Fairness is ensured with algorithmic randomness. HUDS is a decentralized, secure way to store information, while at the same time enabling the IOS platform to be used by a large array of services, from small businesses to large enterprise organizations. EDS is a new sharding system that creates shards that are both large and bias-resistant. By doing so, it allows the deployment of large scale Dapps that have both high performance and flexibility. This enables developers to build a wide range of products. Once the number of nodes and resources in the network increase, the cost of running large scale DApps will be more affordable. At the moment, IOST tokens are ERC-20 tokens, but often the IOS blockchain is built the tokens will be swapped with the new native tokens. Payment – They pay for goods and services provided by merchants or community members. 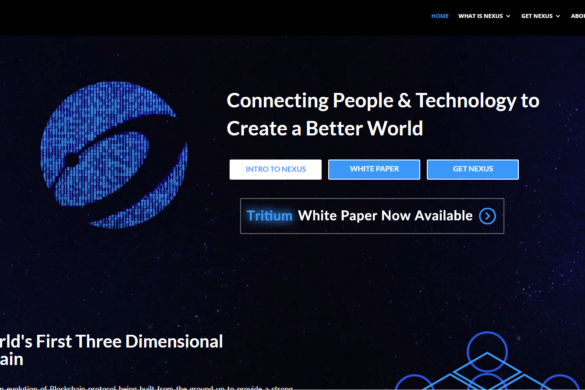 Commission – They are used to validate smart contracts, process messages and transactions, and the use of resources within the ecosystem, including storage space, computing power, etc. Believability – They are used to calculate users’ believability scores. Instead of the usual Proof-of-Stake consensus mechanism, IOST offers a Proof of Believability consensus to solve the problem of a few large players holding a large portion of the tokens. It does this by divides all validators into two groups, a believable group and a normal group. Believable groups process transactions quickly, afterwards relying on the normal group to verify and ensure security. Validators caught misbehaving will lose all their tokens in the system. Binance is currently the main option for purchasing IOST. 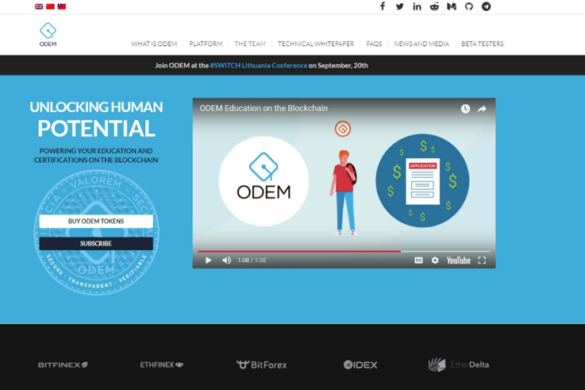 It is available for purchase with BTC and ETH. At the moment it has a trade volume of over $61 million a day. 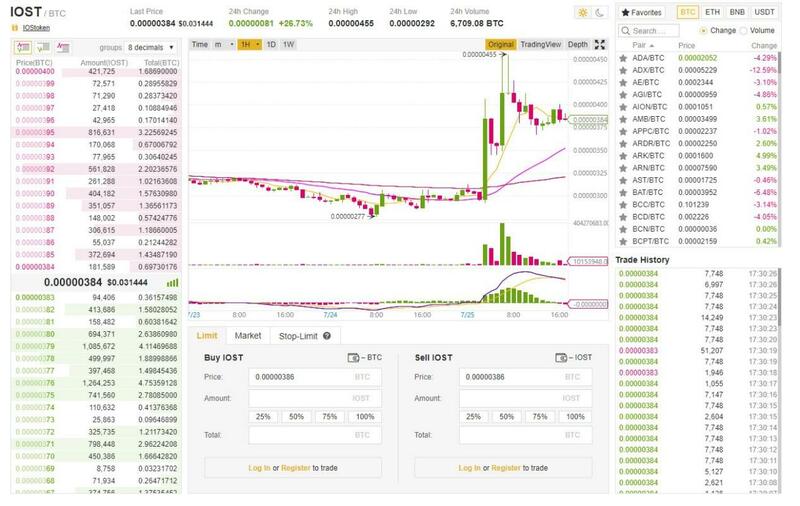 In addition to these exchanges, Upbit recently listed IOST. Upbit is Korea’s biggest exchange. IOST can be stored in any wallet that supports ERC-20 tokens such as Coinomi, MetaMask and MyEtherWallet. For maximum security, however, you should store your IOST on hardware wallets such as Ledger Nano S and Trezor. IOST released their testnet on June 29th. In doing so, they announced the company had reached two important milestones. First, it was successful in using six shared under its PoB consensus mechanism to achieve 7000 – 8000 TPS. Second, it found that its PoB functioned well in real-world conditions. 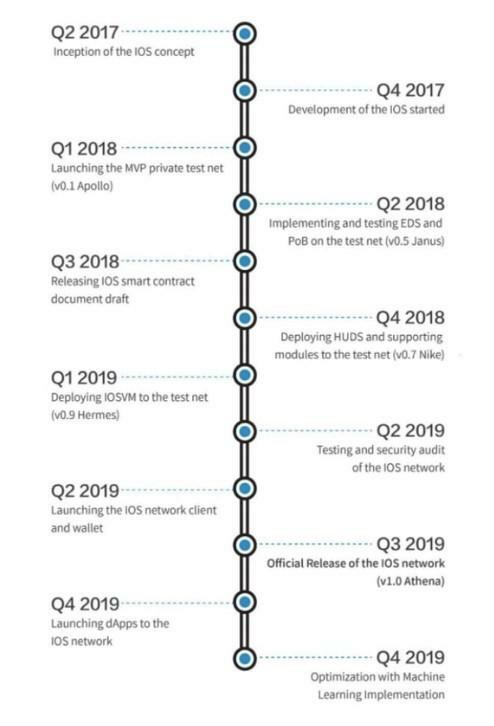 Their mainnet is planned for release by Q1 of 2019. 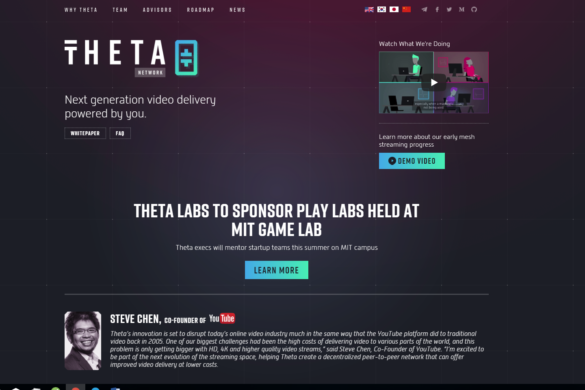 In addition to their official roadmap, the company makes announcements via its company blog. IOST has managed to build an impressive following in a short amount of time, with 25,000 Telegram members joining after a Huobi + IOST trading bonus referral system in January. Its official Telegram group now has over 74,000 members.